Amino acids play an important role in ensuring the overall health of our body, since they are the building blocks of protein. Although found in many food sources, supplements containing amino acids are highly popular because of their role in improving mood, concentration, sleep disorders and a number of other physiological phenomena. 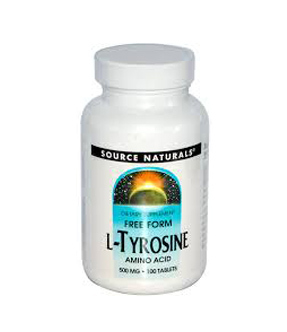 One such amino acid is L-Tyrosine, which is produced in the body and aids in maintaining healthy brain chemistry. Read on to know more about this amino acid, its supplements and their side effects. The primary role of L-Tyrosine is protein synthesis and aiding brain health by providing the necessary materials for the production of dopamine, epinephrine and norepinephrine, the three vital neurotransmitters for energy. Although this amino acid does not directly aid in the production of the neurotransmitters, it provides a buffer for the raw materials needed to produce them. Supplements containing this amino acid are highly effective in boosting energy levels, mood, motivation and cognitive functioning of an individual. While this amino acid is naturally made by our body and is also found in food items like meat, dairy products, oats, eggs, fish, nuts, etc., supplements containing it can prove to be highly effective for people looking to boost their productivity and cognitive functioning. Medical experts recommend supplements containing L-Tyrosine for treatment of disorders like ADHD, Parkinson’s disease, Alzheimer’s disease and chronic fatigue. L-Tyrosine has also been found to be useful in the production of certain hormones, besides the creation of the pigment melanin, present in our hair, skin and eyes. The amino acid is also linked with the thyroid hormones, which means it can assist in suppressing the appetite and improving the fat burning ability of the human body. General health supplements for improved focus and concentration levels contain L-Tyrosine and following the recommended dosage can lead to steady improvements in concentration and focus. User reviews of L-Tyrosine reveal that there could be a few side effects, such as headaches, nausea and heart burn. For people suffering from various attention disorders and memory related issues, experts recommend specific supplements in specific doses. It is always advisable to follow the dosage instructions on the pack or as recommended the medical practitioner for effective memory enhancement. Several brain health supplements contain L-Tyrosine, but which one should you choose? Smart Pill Guide is just the resource you need to study and compare the various memory health supplements and make an informed decision, based on unbiased reviews.